Located on the corner of Victoria & Peel Street in Mackay's CBD, The Austral Hotel has had a reputation for years as the best Steakhouse in town. Offering 10 different cuts of premium beef in various sizes, along with an array of other menu items and fine selection of wines. But there's more to The Austral Hotel than the steaks! 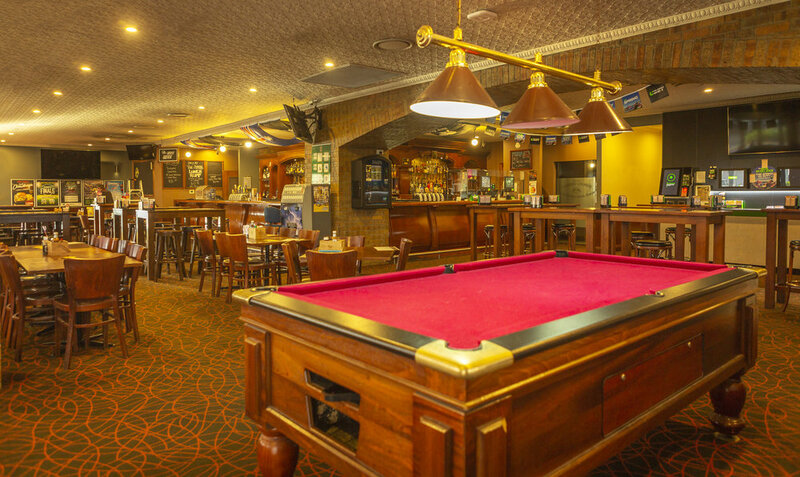 It's also home to Mackay's #1 Sports Bar with three brand new big screen TVs, playing all major sporting events LIVE & LOUD and volume on request for other sports. The sports bar also includes dining with street views, a pool table, Jukebox, TAB area and Keno. Here at the Austral Hotel we want you to be able to relax and enjoy spending time with your family and friends. Our Bistro offers a spacious dining area with great value meals along with a relaxing family atmosphere. The Bistro menu has a wide range of seasonal dishes available to suit all tastes. All meals are reasonably priced with specials and a fun childrens menu available. Our Sports Bar offers great value dining with all your favourites from snacks to schnitzels and burgers. It's great meeting place to unwind with a meal after a long day at work. If it's great value dining with a friendly atmosphere you are after, then look no futher than the Austral Hotel. Here at the Austral Hotel our Gaming room features 40 of the latest gaming machines, Keno terminal, and link jackpots including the latest Lightning Link Machines. We have Ticket in Ticket Out system operation on our machines allowing you to move quickly and easily between machines. Our lounge area has big comfy chairs where you can sit and enjoy a beverage, tea or coffee whilst having a chat with a mate or watching Keno; you’ll never miss a game.